The KTV Group has participated in the development of BlueTag Software Since 2009. We now own the best tool on the market for project management, deviation management and quality control. BlueTag allows us to build necessary and important trust between customer and supplier, which is quite unique in our trade. 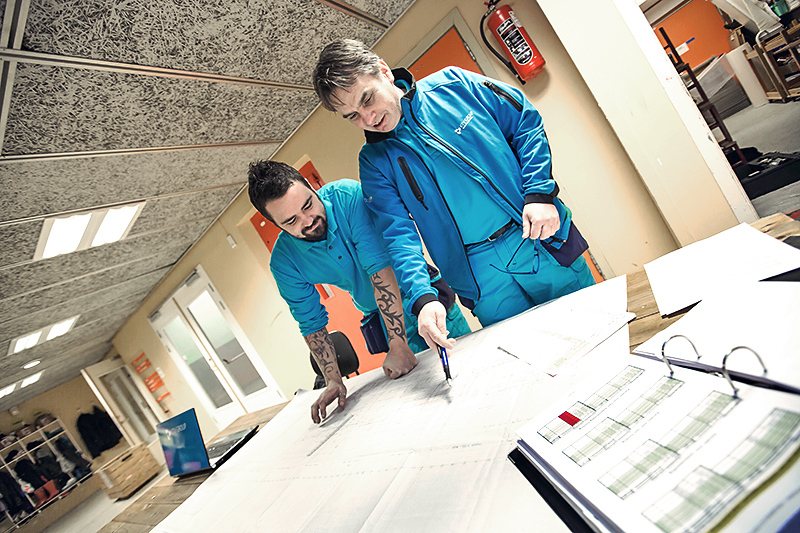 This quality assurance system allows our customers to sign maintenance agreements that can last up to 20 years. One unique aspect of the software is its capability of archiving all documentation in one place. The software has artificial intelligence of sorts, which can discover discrepancies in economic, time and safety factors as soon as these occur, making it possible to correct potential problems before damage can occur. One of the most important aspects of the software is how it registers everyone participating on a job and allows them to interact, so if something goes wrong the system will always be able to contact the person/leader in charge. When incidents arise the system can be used to make corrections. You get everything on one page: Time schedules/records, incoming and outgoing invoices, job reports, deviations, costs, documents, procedures, descriptions etc. Everything is managed in the BlueTag system, making it possible for the managers and leaders to limit administrative tasks and focus on practical tasks. This software can lead to major savings on any project.